Summer can get so warm and stuffy that even escaping to your porch or patio does little to help you cool down. Fortunately, you can find a way around this by investing in the best outdoor misting fan. With this device, you can turn mist into water and let it cool you down while you relax in your outdoor space. You can even use it to keep your guests cool and happy while you host barbecues and other get-togethers. 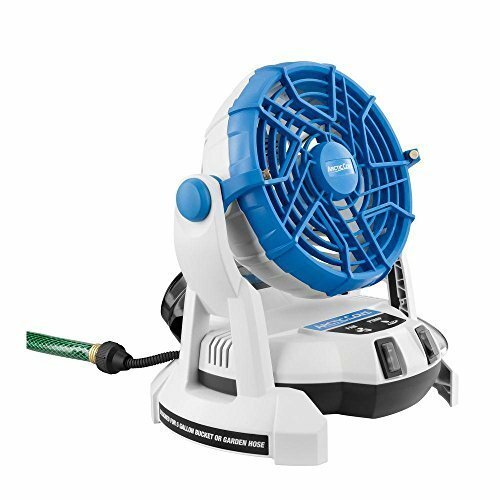 This 16-inch misting fan comes with a patented four-nozzle system that helps it create cool mist while promoting proper airflow. Using it is easy: simply connect the fan to your garden hose, choose your desired fan speed, and you’re ready to go! It can effectively cool down up to 640 square feet using only 54 watts, allowing you to beat the heat without consuming a lot of power. 40,000 BTU's of cooling power cools up to 640 sq. ft. This 40,000 BTU fan has enough power to cool up to 640 square feet of space, and it has four brass nozzles that are resistant to rust and UV light. 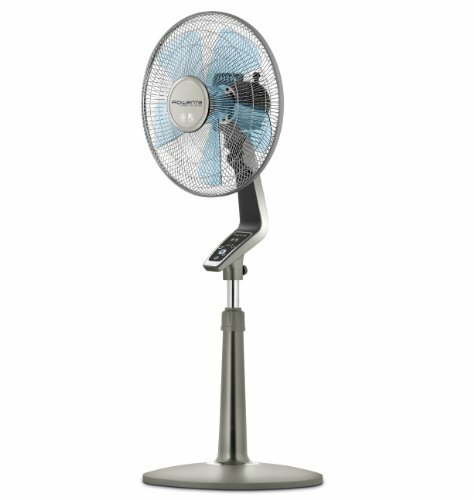 With 90-degree oscillation and an adjustable height that can reach up to 56 inches, this fan can cater to the cooling needs of your guests and family members. The best part about this is that you can use it as an indoor fan without the mist. Noise won’t be a problem when you use this stand fan. It comes with five powerful propeller blades that are designed to be super-quiet, and it’s tested to produce less than 60 decibels — which is equal to the noise levels ordinarily produced in the library. Even with its quiet operation, the fan is far from being weak since it can move air up to 1,695 cubic feet per minute to instantly cool you down in a hot day. 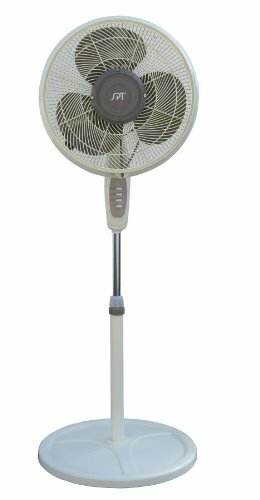 It can be operated through remote control, allowing you to choose from the fan’s four speeds even from across the room. This uniquely designed fan can be used in two ways: you can either set in flat on the ground and pair it with a garden hose, or make it stand up on its feet with a bucket of water underneath it. The fan is powered by an 18-volt lithium-ion battery, which can last up to 7 hours depending on the settings you use, although you’ll need to buy the battery and the charger separately. Activate the 4 nozzle misting hub by connecting to a standard garden hose. This three-speed 16-inch fan has a cooling power of 40,000 BTU and can effectively cool down a 640 square-foot area. It comes with a rust- and UV-resistant four-nozzle hub along with a height-adjustable stand and a shower-proof motor. 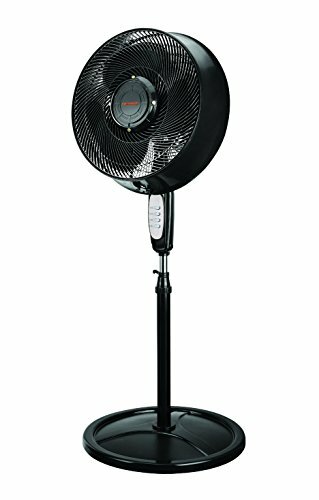 One of the best things about this fan is its flexibility: you can use it not just to beat the heat but also to minimize dust and flying insects, and you can even use it indoors. Learn more about these models to select the best outdoor misting fan!